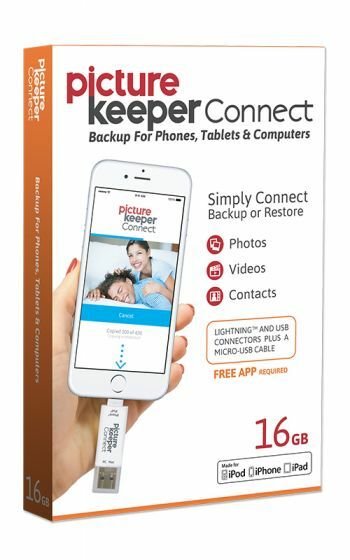 7 Kids and Us: Save All Your Photos on Your Phone With Picture Keeper Connect! Save All Your Photos on Your Phone With Picture Keeper Connect! Running out of space on my phone for pictures and videos is a problem I know all too well. This past weekend we were having our end of the year party with our homeschool co-op and both of my kids were performing in the play. Well, I hadn't checked my phone storage, or my SD storage, and they were both full, so here I am when I should be watching the play, frantically trying to move pictures and videos around so that I could have enough space to get at least some of the play on my phone. If I had Picture Keeper Konnect, this wouldn't have been a problem, because I could have quickly transferred without having to go through each picture, to the Connect and started recording. This is all I ended up getting of the school play, and though I am extremely grateful, I sure wish I had more. Backing up files, photos, and videos from your tablet or smartphone should be easy. If it isn’t, people often don’t backup at all, filling their device’s memory and increasing the risk they’ll lose precious memories due to device loss, damage, or theft. Picture Keeper Connect 16GB offers a hassle-free way to quickly backup your Android device’s files without the need for an internet connection. Simply plug the Picture Keeper Connect compact USB drive into the wireless device’s charging port, launch the Picture Keeper Connect app, and click on Start Backup. The app backups up all device photos, videos and contact information while ignoring duplicates from earlier backups. The Picture Keeper Connect is available in 16, 32, and 64 GB based on what you need. You can purchase it at Amazon or online here.